Due to the high prevalence and strongest impact, brands worldwide opt out television for advertisements. Being engaged in business, you cannot overlook the importance of ads because they are an inevitable part of marketing. With the aid of advertisement, brands target their potential buyers to boost sales. Today, every marketer is well-versed with the recipe to make a brand viral. Therefore, they cannot miss television ads for advertisements. Technological advancement has made the competition fearless, and no one wants to take it lightly. However, TV networks face various issues in fulfilling diverse needs. One such case happens when they want to modify the content as per their requirement. However, these demands can easily be handled with the help of an ad insertion platform. What is an Ad Insertion Platform? It is a reliable technology that lets you insert your localized content effortlessly so that you could broadcast them as per your viewer preferences. A full-featured ad insertion platform has become the necessary for every TV channel that focuses on targeted advertising and constantly needs to modify content as per requirements. In recent past, for different brands, TV networks had to finance and establish new channels feeds in case they want to replace particular content. However, with the advent of ad insertion platform, modifying or replacing content with localized content has become easier than ever. In short, unlike earlier, TV networks now don’t have to spend a huge amount to modify content. An ad insertion platform can be easily managed on a cloud infrastructure. It is capable enough to let TV channels to manage all their localization needs worldwide using different web browsers. 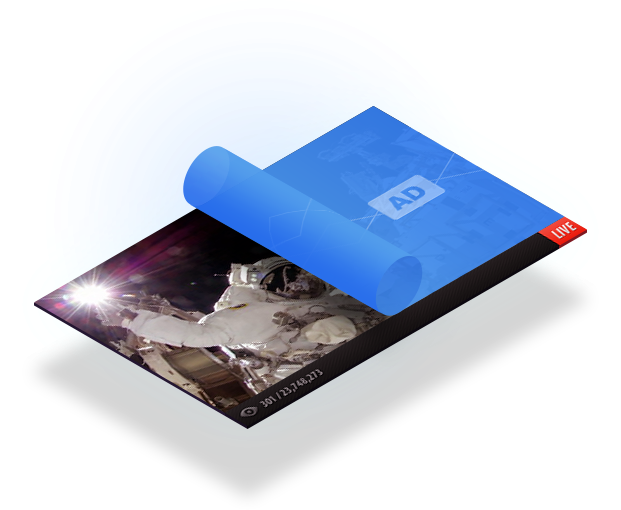 Without a doubt, ad insertion platform gives the competitive edge to TV broadcasters. A full-featured ad insertion platform lets them localize content worldwide irrespective of the fact what the location is to match viewer preference. Content insertion has now become an absolute breeze with the advent of ad insertion platforms. Earlier, even a small change or modification was no less than a headache for broadcasters as they were facing troubles in inserting content in a uniform, cost-effective and flexible manner. But, not now! TV broadcaster now inserts a variety of content including HD videos, multiple audio tracks, graphics, and so on. All the points stated above describes how ad insertion platform has made content insertion an easy task. Facing trouble in uploading localized content, try an ad insertion platform to see its benefits.